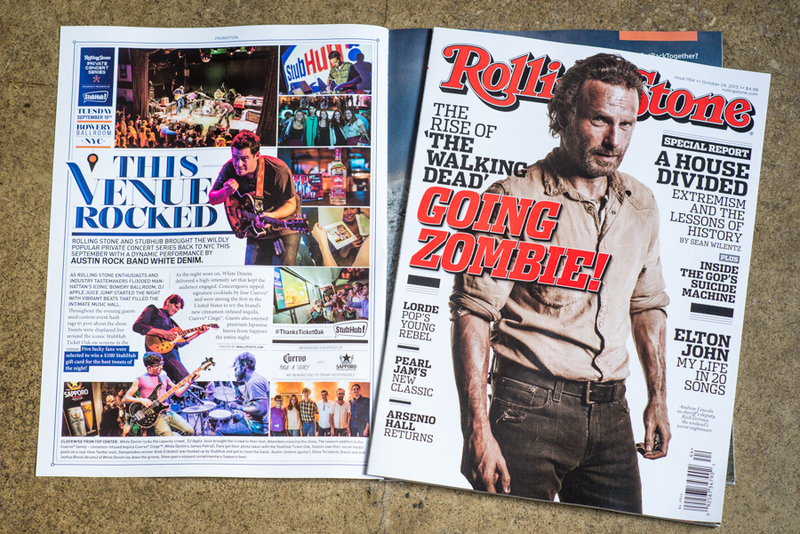 Rolling Stone gave me ANOTHER page in their Magazine! This time I was covering another one of Rolling Stone's private concerts but instead of in Atlanta, this show was at the Bowery Ballroom in New York City with local Brooklyn band "White Denim!" It got the inside cover too! I'm coming for the spread and cover next! !